I have used dōTERRA® essential oils in my home and in my yoga classes for many years. I am honored to share these healing tools with you and build a business around these oils. Through my dōTERRA® tribe I am finding financial security and leadership skills along with support and community as a Gold leader and independent Wellness Advocate. Our tribe is growing internationally and I would love to share with you my passion for these plant products. You can get oils from dōTERRA by purchasing them through a wellness advocate like me. 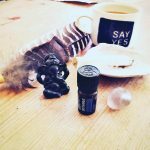 With that you get support and education from me, individual support, access to private Fb groups and a website for education and support and a welcome package of goodies. Wholesale saves you 25% on everything for a year, no need to purchase monthly, a specific amount and you can cancel your account at any time. At the end of a year should you wish to keep purchasing, the re-up fee is $25 and dōTERRA will send you a free 15ml Peppermint. If you choose not to, you will NOT be automatically charged. option 2.) get a starter kit which will waive the $35 and also will save you more money. They are here: Starter Kits. The two smallest kits and the Emotional Aromatherapy diffused kit have 5ml oils, most other kits have 15ml oils . You will see that they vary in contents and savings. We are wholesale customers who have the option to have an essential oil business, teach classes and educate folks. If you wish more info on this let me know. Home Essentials Kit: The starter kit with the top ten most popular oils and blends, includes a diffuser. 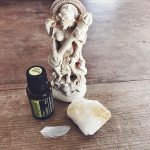 Natural Solutions Kit: THE kit to begin a life emphasizing natural solutions in your home and wellness. Emotional Aromatherapy Kit: A kit focused on the emotional aspects of aromatherapy. 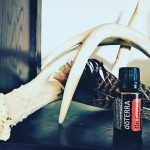 Every Oil Kit: A kit for the oil loving person, every single oil dōTERRA has and how I wish I started my journey. Yoga Teacher Collection: A curated collection of oils I’ve chosen ideal for any yoga teacher wanting to bring these tools into their classes and lives. Want to start with something else specific? Contact Nancy today to set up an appointment to create your perfect starter kit. 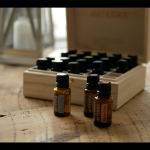 While many essential oil companies exist, I only use dōTERRA® products because they are Certified Pure Therapeutic Grade®, their SourceToYou website offers 100% transparency showing the exact chemical contents of each oil, and their commitment to charity through their Healing Hands Foundation. 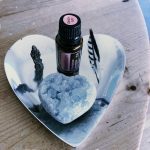 I regularly teach essential oil workshops in homes, yoga studios and businesses. Additionally, I am available for personal consultations by email, Zoom or phone on a one-on-one basis. Let me help guide you towards wellness in all your endeavors with essential oils. 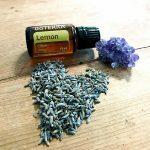 To find out about my upcoming essential oil classes, check out my classes page. Contact me to learn more about incorporating dōTERRA® essential oils with your home, family, yoga, work and meditation settings. Let me show you how dōTERRA® can empower you to live a life in harmony with the environment and with natural tools for health and wellness. *as an Independent Wellness Advocate I make commissions on all purchases through my website. Thank you for your support.